“The Stanza” is our monthly e-newsletter distributed the first week of each month. 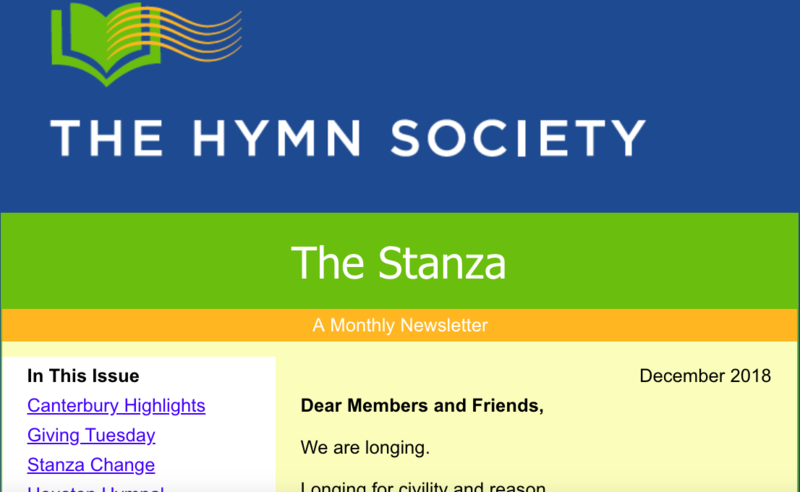 Contents include news of our members, interesting articles/news about hymnology and congregational song, notices about hymn searches/competitions, and more. Prior to 2017, our e-news publication was titled “The Verse.” All archived issues of our e-news can be found below.